Admin note: I’d like to pause for a moment to thank Jay Salser for his continuing contributions to 1967beetle.com. Our audience has grown in leaps and bounds because of your efforts. We, who have an interest in Vintage Vehicles, use a number of terms to describe our own vehicles and those which we see at shows, club meetings and elsewhere. Sellers also advertise their vehicles, using these same terms. Often there is little thought about the terms which we use and what is implied when we use them. The USA VW Community has always been pretty relaxed about our vintage vehicle society, including how we describe our cars. We have not been as “organized” and precise about how we evaluate our cars as has the “Big Car Community”. With classically preserved Volkswagens in the USA fetching into the 5 figures, and even higher, it is time that we paid more attention to how we look at our cars. Let’s look at these three and how they should be used and how they are interrelated. The definition of “Restored” always has to do with returning something to its original condition. While a vehicle may have been completely renewed, it has not necessarily been restored. I have seen and read about thousands of vehicles which are said to have been “restored” only to find that although they have been partially or even completely renewed it is not to factory specifications. This can be very misleading, especially to the would-be buyer. He may have a completely different idea about “restored”. It is not infrequently the case that once the car has been purchased, the new owner finds, to his dismay, that the car does not meet factory specifications. Although it is completely new throughout, there are variances. This changes the way judges, for instance, will look at that vehicle. It falls into a completely different class, somewhere within the “modified” class. I am not too critical of a seller or owner who describes his car as having been refreshed or rebuilt. However, once I see an ad or description for a vehicle that says “restored”, I switch to a different gear. Now, I am judging that vehicle in a different light. In the World of Vintage Vehicles, “restored” means just that—completely restored to original factory condition. The term “Original”, when applied to vintage automobiles, refers to an automobile that has not been significantly altered since it left the factory. The vehicle may have had regular maintenance such as tune-ups, changes of tires, other mechanical parts and so forth, but these should be of the same sort as the original equipment if at all possible. The point of having a car in original condition is history. History is everything at this point. An original vehicle is essential when judging other cars of the same make and model. One cannot judge cars based upon restored examples because a restored example no longer completely exemplifies what left the factory doors. Of these, Number 1., Originality, is further divided into 5 sub-categories which are called FDICC or Finish, Date Codes, Installation, Completeness and Configuration. Finish refers to the color and coating. Although the coating may have become faded and rusted in spots, it still should be the same as when it left the factory. The vehicle cannot have been repainted, in other words. Points are lost for damage or deterioration but these may be off-set because of the originality of the finish. Parts should have the correct relevant date codes even though a part might have been changed. The replacement part should bear a date code from the same period as the original factory part. Parts should function as they did when the car was new. Remembering that points for originality often help to off-set deterioration and non-functioning parts, the judging continues through the sub-list of FDICC proscribed for “originality”. Thus, a car which is a functioning vehicle but shows some points of wear and so forth, may lose points for that deterioration but also may accrue points for originality of appearance, function, date stampings, completeness and configuration (correct assembly). However, the car that is original but non-functioning, will not make it to “the finals” because too many points for deterioration will have accrued which over-shadow its originality. This rather divides “originality“ into two categories—an original vehicle which is non-functioning and an original vehicle which functions but is not necessarily perfect. 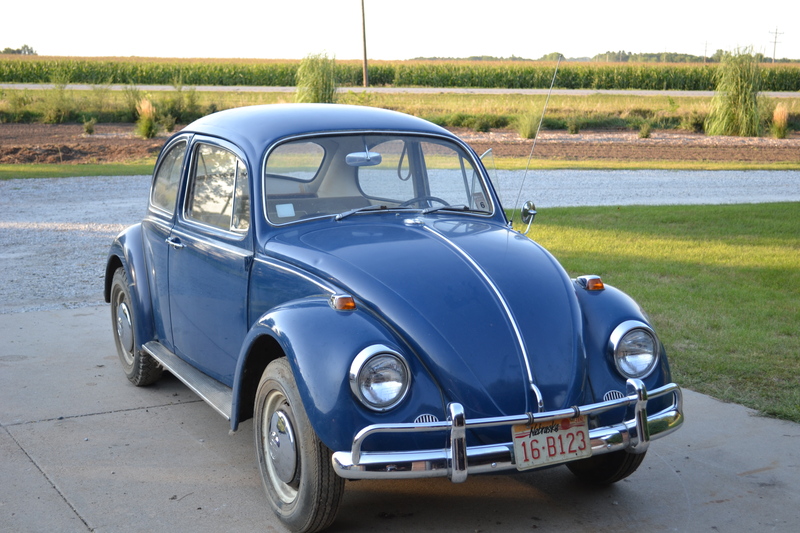 This 1967 Beetle is an example of an Original Vintage Vehicle. Although it has some deterioration, it would receive good marks for originality, assembly and function that possibly would over-shadow the blemishes. The car has original paint, pans, numbers-matching engine and transaxle, bumpers, interior, carburetor (now rebuilt), working radio, 12 volt working system, rims with correct color coding, keys, non-original tires but in the original style and a non-original fuel pump. It is missing some hose clamps. There is no rust on the car and the pans have no repairs. This car could be used when comparing for originality of factory condition. Now, we come to Survivor vehicles. A survivor vehicle is all original, but not all original vehicles are survivors. Here’s how this works. We all read about “barn finds”—cars which have been stored and not used for decades. Maybe a person bought the car, or inherited it, but for reasons all his own, or perhaps due to health or his demise, the car has remained stored and unused. Or perhaps a car was purchased but used only for special occasions. Such a vehicle may be a “survivor”. A survivor vehicle is a special vehicle. It holds the secrets from the factory by which all other cars of its make and model may be judged with finality. It is the standard, much as are the weights and measurement standards which are housed in the Smithsonian, for example. It represents what no restored model can. It also surpasses cars which are all original functioning vehicles but which cannot be said to be true survivors. So, what is a “survivor vehicle”? Bloomington-Gold goes on to say that such a vehicle is “worn in but not worn out.” It is a vehicle which “…is significantly unrestored, unrepaired or unmodified and useful as an historic reference”. Furthermore…it is a vehicle which, in the best interest of research, should not be restored or improved upon. This is the short of it. 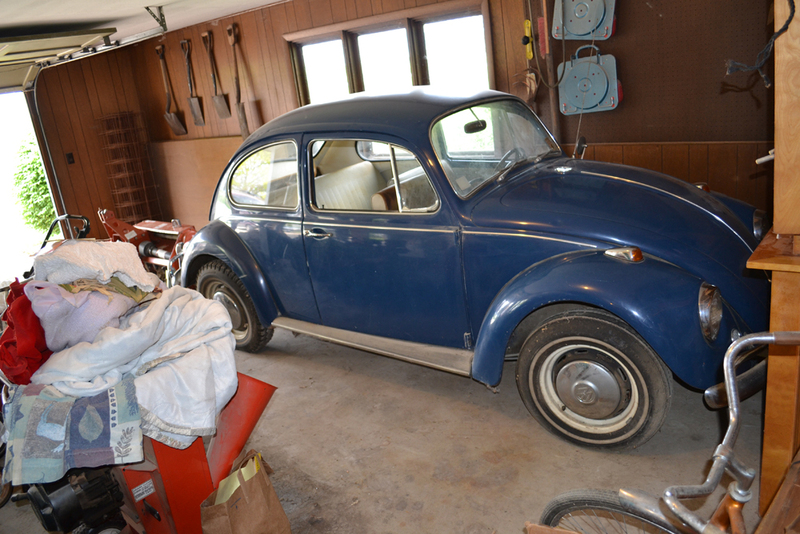 The Klintworth Beetle is an unmolested example of a 1967 Beetle Sedan, with only some repairs, as necessary, to keep it road-worthy. 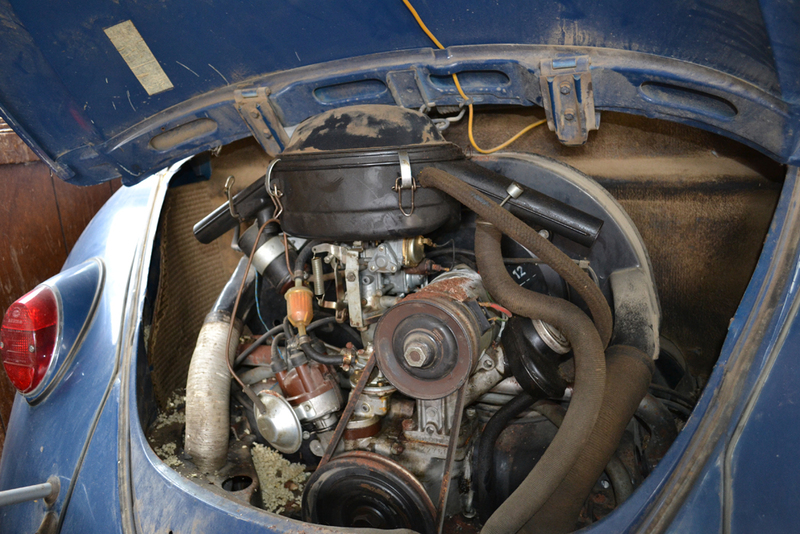 To do this, Rees installed new correct fuel lines, a new fuel pump, new spark plugs and ignition coil. He rebuilt the original carburetor. 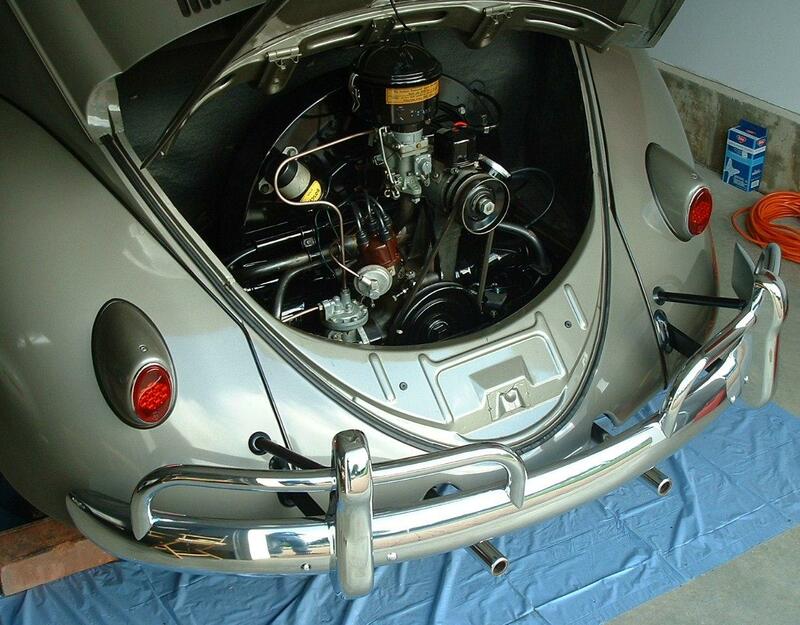 He installed new tires, master cylinder and wheel cylinders. The car was cleaned and the paint buffed—the paint looks good with few blemishes. He also installed an up-dated radio and speakers and larger tail pipe tubes. This car would have some points deducted for the radio and speakers and the larger tail pipes. There might be some question about the fuel pump. It would appear that this car should qualify as a Survivor. Bloomington-Gold goes one step further with a sub-category of Survivor which it calls “Benchmark” (also copyrighted by Bloomington-Gold). This category is for “those very rare, select (vehicles) that represent the ultimate in factory originality and condition”. A Benchmark vehicle not only is NOT restored—it is in showroom condition. These cars serve an ultimate purpose of being the perfect representation of a factory delivery vehicle. 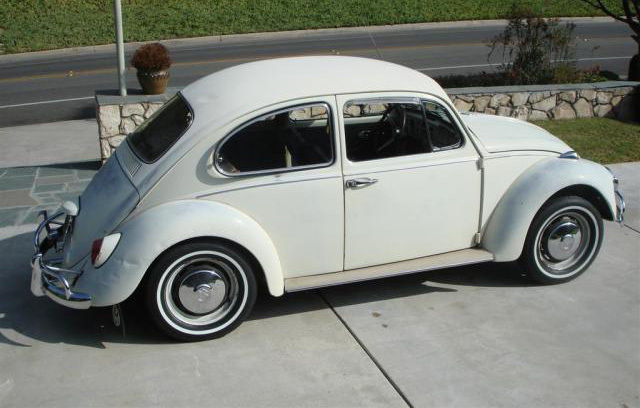 Not finding an example of a 1967 Beetle, I have chosen to illustrate this Category using a 1957 Beetle Sedan which certainly seems to exemplify all of the characteristics of a Benchmark Survivor. First, the vehicle has extremely low mileage—just over 13,000 documented miles. The owner has photographically documented the car from the time he obtained it until the present. He has documented anything which he has found necessary to keep the car road-worthy—only a new coil, battery, tires and fuel tap. Everything else about this car is as it left the factory assembly line. It is without blemish. This vehicle, therefore, can be used to judge all other 1957 Beetle Sedans meant for USA consumption. There is no guesswork involved. It truly is a magnificent example—a museum specimen. 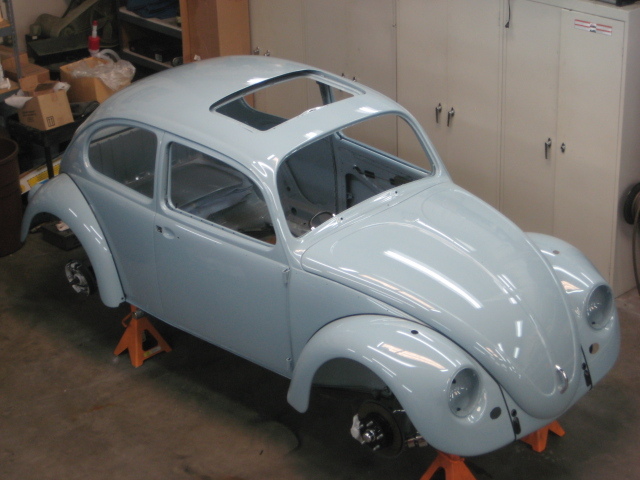 What can we, as owners of vintage Volkswagens, do to be more realistic about our cars ? For one thing, we can reassess our own vehicles and describe them correctly. Also, we can encourage others in the VW Community to follow suit. Those who organize and manage clubs, shows and sales can suggest and encourage correct descriptions. Gentle nudging will work with most people but some may need further explanation before they see the benefits of correctness. When all is said and done—what we want is for the Volkswagen Community to stay abreast of up-to-date information so that it can make its mark in the Vintage Automotive Community. We have come of age—let’s act our age! Does this mean any car that is re-painted with anything other than factory paint can not be a restored car? I guess I am wondering what the definition of ‘factory specs’ is. I assume any 67 with a 1600 engine could not be considered restored. Yes, I have come across many ‘restored’ cars for sale in the past that as you say have a new paint job and seat covers. I agree with the value rising on these old VW’s we should stick to recognized terminology. Another great article by the way! Thank you for your contributions. Yes. Jay and I exchange emails daily on these terms. It’s really funny what people considered “restored.” If I could find a survivor car, I’d probably not even wash it. Great article. I will be using the term “rebuilt” instead of “restored” for my 62 Ragtop. I usually don’t use the term “restored” for this car but admit it has slipped out a few times. Thank you! Your photo examples were well chosen. Rebuilt! That is the word I was looking for. Same for my 67 that should be done sometime in March. So, now I am wondering if my grandfathers truck that I now own is an original or a survivor. He bought it new in ’69, has never been repainted, has everything original except the oil bath filter which I replaced with a paper, original pipes, interior… Was only driven once a month, and now I have it. Is it worth more as an original or a survivor? I am utterly confused now. Jay could probably advise on that one. Hello, Sabrina…I believe that you have two questions which I will attempt to answer. First, let me say that I am not touching your vehicle, so what I have to say could be contested. Originality has to do with not having been changed from how the vehicle came from the factory. You indicate that, aside from some minor aspects, the truck is as it should be: i.e. factory paint, factory interior, etc., etc. Now, what a person should address would be the quality of the originality of the truck. As I say in my article, points can be deducted for the dings and scratches, etc. But an original vehicle that is functioning and which has good appeal (not used up and abused) would certainly be desirable. Its worth, in my estimation, would exceed one that had been altered (now not original) or, in some cases, even restored (which changes everything). As far as survivorship–again, not being on the spot with the vehicle, it would be difficult for me to assess whether or not this vehicle surpasses originality and exhibits not only unaltered features, it is an original in very superior condition and which needs almost nothing for its ability to operate properly. Such a vehicle would, indeed, have more intrinsic value than the original vehicle. I know that it costs a lot of money and time to restore a vehicle–however, if we are considering how much the vehicle is changed once it has been restored, we can see that intrinsic value has decreased and, in some cases, been lost. 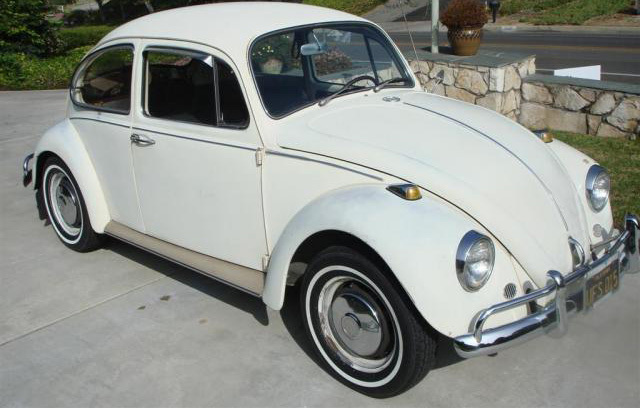 Thank you for turning to 1967Beetle.com, Sabrina! Very well written article! That clears up a lot of confusion I had about the difference between original and survivor. I also appreciated scrolling through and seeing pictures of my own bug :) I’ve definitely described my Beetle as “original”, but now I will start using the survivor terminology. Thanks! So Jay, how do we refer to works in progress? Can I still say, “I’m restoring a ’67 Beetle,” if the finished product is months away and in the end might fall in the “rebuilt” catagory? Thanks everyone for all the comments! Kudos to Dr. Salser for such great content. Any one should be able to refer to their vehicle just as they wish and not be restricted by what another collector thinks. Survivor means any that survived…. if it is here it survived. Restored can mean a multitude of things and virtually no car is 100% original if anything at all has been changed. How about this, let’s lighten up and just enjoy our cars. Right on, Jay. However, even though there is a surge in interest in VWs, changing names, wording, rules, regulations etc. will not change either the cars or the people who own the cars. The only people who will be honest are those who are already honest. “A rose by any other name is still a rose” and locks are only a deterrent to honest people. You have to keep in mind, Jay and I have been talking about this for some time. 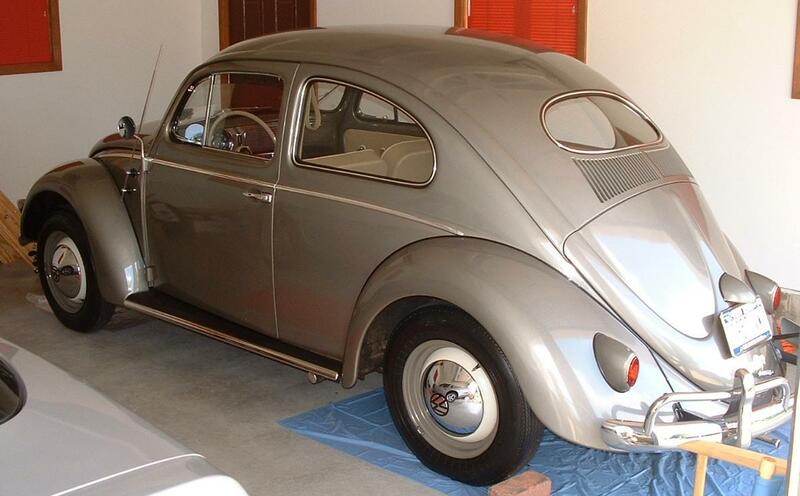 We exchange emails daily on many of the ’67 Beetles on the market. For me, it’s one of frustration. So many people are dishonest in the sale of their vintage vehicle. It takes a keen eye and understanding of what the term “restored”, “original”, and “survivor” really means. Jay’s been around these cars longer than I’ve been alive. He’s a wealth of knowledge is involved in this great hobby for the same reason I am; the same reason I believe we all are. In Sid’s Café, road sweeper Trigger shows Boycie, Del Boy and Rodney a photograph in which Councillor Murray is seen presenting him with a medal. Later … he proudly shows them his broom. Yeah, that (sadly) does not sound like a restored ’67. Jay and I talk about this a lot. People use it more as a marketing “buzz” word than truth. If anything, that’s another reason 1967beetle.com exist. We are here for you. I also wanted to add. Enjoy your ’67, no matter what. Sure, we love all correct restorations however, we are all in this hobby to drive and enjoy these cars. “Jackson also took part in a panel discussion on Saturday morning of the three-day event along with Hagerty magazine columnist Wayne Carini, host of TV’s Chasing Classic Cars; Joe Bortz, concept car collector…and historian, and Glenn Bator, a vintage motorcycle expert. Yes…the Vintage Vehicle Collector Public is getting the word–an original vehicle is a good thing. If it doesn’t need to be restored, leave it alone–it may be or become worth more in the long run–not always in terms of monetary value but certainly in terms of intrinsic, historic value. This is really great info. Thank you for posting it for our readers. For years, Volkswagen owners who were also Antique Automobile Club of America (AACA) members could exhibit their prized possessions in the AACA’s standard production classes, meaning that a 1965 VW Beetle would be competing against cars like a 1965 Chevrolet Corvair or a 1965 Ford Galaxie in Production Vehicle class 27f points judging. In 2010, the AACA implemented a change in direction, lumping Volkswagens into the Small Vehicle class (primarily class 04b, for vehicles built from 1942-1988), where they’d compete against the likes of Crosleys, Bantams, BMW Isettas and Mini Coopers. Now, thanks to member feedback, the AACA will introduce a new Small Vehicle class, 04c, dedicated to Volkswagen models of all types, beginning in 2014. The move was not without its controversy, as the population of Volkswagen-showing AACA members seemed to be split between returning to production classes for future judging and branching out into a new small car class. An initial member survey, sent in early 2013, showed that a majority of owners preferred a dedicated class, while a follow-up survey (which also presented the alternative of returning to production classes) confirmed this. Adding to the confusion was the fact that Volkswagen models were judged in production classes for much of 2013, instead of the previously approved Small Vehicle class 04b. Initially, it appeared as if Volkwagen Type 2 models (commonly referred to as campers and buses) would be excluded from the new, dedicated class 04c (since they really aren’t “small” in size), but this is no longer the case. For 2014 AACA competition, all Volkswagens up to the cutoff year of 1989 will be judged under class 04c, regardless of whether they’re air cooled, water cooled, driven through the front wheels or driven through the rear wheels. The Volkswagen Beetle was recently recognized as one of the 10 most significant antique automobiles by the AACA, primarily for its impact on the mass-market compact-car segment. As the AACA points out, it was the Volkswagen Beetle that prompted domestic automakers to improve compact offerings, thus creating a viable and ongoing segment of the auto industry. AACA judging evaluates antique vehicles that have been “restored to the same state as when the dealer received the vehicle from the factory,” as described in the AACA Judging Guidelines. Vehicles are judged based on a set of standards in four categories: exterior, interior, chassis and engine. Vehicles in the various judging classes do not compete against each other, per se, but are judged based on the categories. Thus, for example, a VW, Corvair and Ford Galaxie all could earn a First Junior Award even though they were in the same class. As an AACA Judge, I’ve often judged different vehicles in the same class, but always considered each vehicle on its own merits per the judging standards. In the AACA it’s not a matter of competing against other automobiles in a class. All vehicles are judged to the same standards, with authenticity and condition as the major components. The awards structure in AACA isn’t set up as 1st, 2nd, 3rd, etc. within each class. All vehicles judged start out with the same number of points, with points deducted from that number in the four areas I mentioned above. The level of award earned is a function of how many points a vehicle earns, not how it scores against another vehicle.